The reviews features of Directories Pro lets users submit reviews for listings in your directory. Under the Settings tab, scroll down the page and select Yes for Enable reviews. Note: If the reviews feature was enabled when you initially created your directory, then it is most likely that a submit review button is already enabled on the single listing page. In that case, you can skip this section. On your directory admin main page, click the Content Types tab. Click the dropdown button in the List row and then click Manage Displays. Locate and hover over to the second Button element placed under Photos in the display and click the gear icon. In the popup window, check the Add review button option under General Settings -> Select buttons. Users that have the Create Reviews permission (see Permissions for details on permissions) in your directory can submit reviews for listings. Login to the site with a user account that has the Create Reviews permission and visit the single listing page of a listing in the frontend. Enter Title, Rating, Review, and optionally upload Photos and press Submit. You will be redirected to the single review page showing the review. 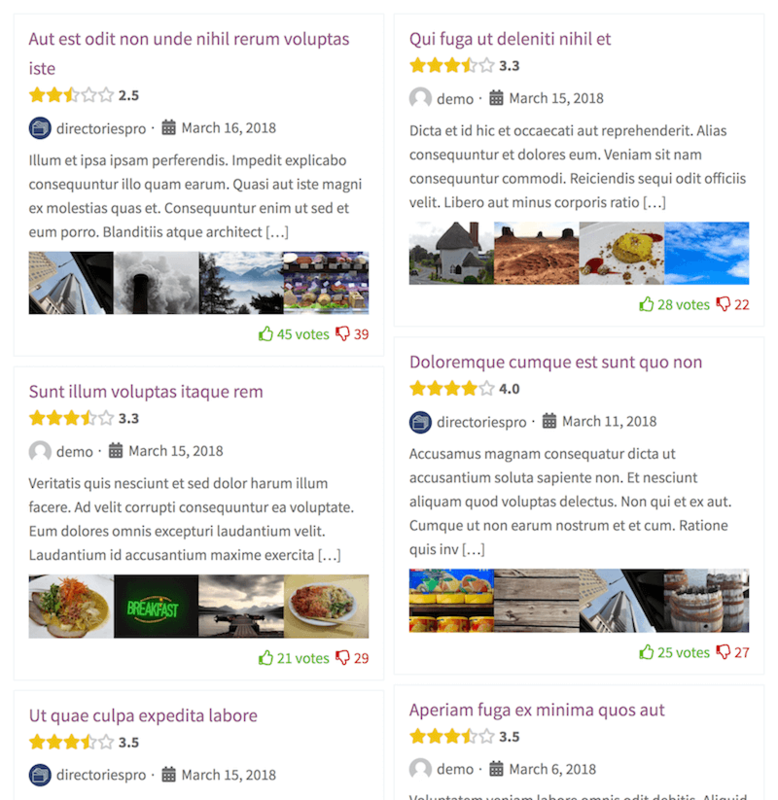 Note: If the reviews feature was enabled when you initially created your directory, then it is most likely that reviews are already being displayed on the single listing page. In that case, you can skip this section. Now that users are able to submit reviews, you will need to edit the Detailed display of listings so that reviews can be displayed on the single listing page. Make sure first that you are on the Detailed display editor page: Directories -> All Directories -> [Your Directory] -> Content Types -> Listing -> Manage Displays. Click the Add Element button at the bottom of the page. In the popup window, click the Field tab. Click the Review Ratings element. Select Overall Rating for Display Format. In the popup window, click the Content tab. Select a view for Select View. Under the Content Types tab, click the Edit button in the Review row. Under the Edit tab, scroll down to the Review Settings section and add any number of rating criteria to Rating criteria. Enter a display label and a machine readable name (slug) for each option. You can also drag the options up and down to change the display order. 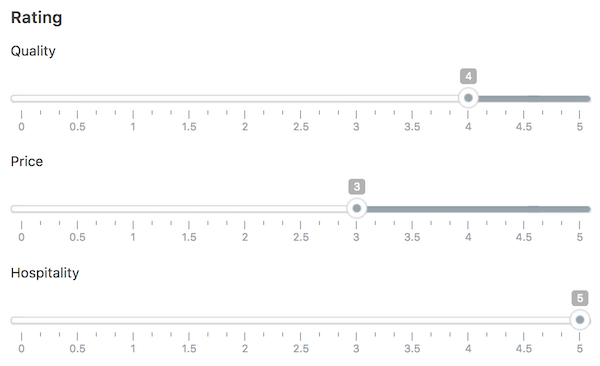 Note: Rating values are saved using rating criteria slugs as keys. Therefore changing the slugs of existing rating criteria will reset the values of those criteria since old values can no longer be fetched from the database.